Seeing as my current make up routine is pretty short and sweet I'll do my best to keep this post the same! I don't tend to change up my make up looks very often at all, I sometimes do a cat eye flick but with the arrival of Spring I've just been feeling all fresh and have wanted to keep my look as pared back as possible. I begin with a teeny bit of Benefit's The Porefessional, which I've raved about before here. I'm happy to report that after three months of almost daily use there's still plenty left which is excellent as it's a bit pricey compared to my usual beauty buys. Using my Real Techniques Buffing Brush I apply No7 Instant Radiance Foundation, which is a new addition to my make up bag. Sometimes there comes a point in your life when tinted moisturisers and BB Creams just ain't cutting it and after a long bout of illness and IVs my skin was looking very dull...no skincare was helping so I just had to give in and cover up! I went for this foundation as it's for tired skin and I gotta say it really perks my face up and is brilliant at covering dark circles. Those with oily skin may find this a bit too shiny but for me it's perfect and has been a bit of a god send recently. I got colour matched in the lightest shade (go figure) and it's perfect, not at all orange. SEVENTEEN Phwoarr Paint is described as an undereye concealer but personally I just find it a bit too cakey and prefer liquid formulas. However it covers up blemishes and redness like a bawse. Using my Real Techniques Contour Brush I apply a dusting of Bourjois Java Rice Powder which is some kind of highlighter although in all honesty I don't see that it makes much of a difference, unless I really go to town with it but then I just end up with a glitterball face. The reason I use it is because of the rose scent (I'm obsessed, I tell ya!) And it does just feel lovely on. Usually I'd apply a bit of blush too but my natural ruddiness has been making an appearance lately which is just great. Well that was a lengthy post for such a simple look! What are your every day go-to's? 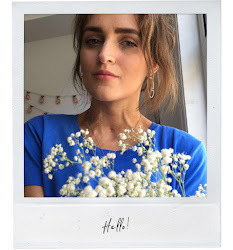 Loved reading this post, you always look so fresh faced and pretty! I can't live without my porefessional either, though I've been trying to save it and use it ultra sparingly haha. I really enjoyed reading this post, it's always great to know what make-up products are recommended! I really want to give Porefessional a try!